A new residential development set to deliver 180 new houses and 170 apartments in Clayton South has had a strong buyer response, with the first stage almost sold out and the second stage set to launch to market soon. Jackson Green will encompass a central park with 4,000sqm of open space and a range of housing styles. 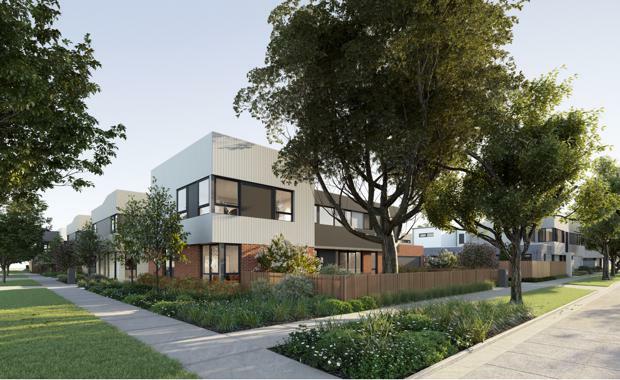 “We set out to create a boutique community of contemporary homes that maximises the natural amenity and all the Clayton South area has to offer,” said Cedar Woods Development Director Patrick Archer. Cedar Woods has enlisted DKO Architects to design the development, which includes a mix of contemporary townhouses, detached homes and apartments ranging from one to four bedrooms. “The design is all about bespoke architectural housing with bold shapes and robust materials,” DKO Housing Director Maurice Leone said. The area’s public transport network in particular is a drawcard for Mr Chuo, who commutes to East Melbourne for work each day. Mr Chuo’s brother is also planning to purchase a property in stage two of the Jackson Green launch. “The houses are so spacious and there are train stations and cafes right next door so we have flexibility with professional and family life," he said. The community is estimated to be completed in 2020.